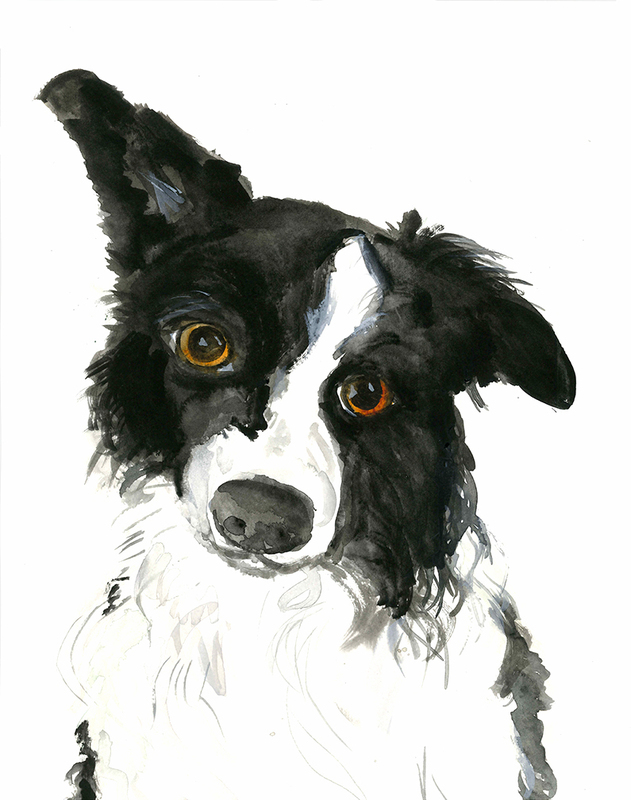 A watercolor border collie portrait. Original is 11x15", watercolor on cold-pressed paper. For pet portrait commissions, check out my Etsy shop or shoot me an email!